Who are the Archangels ? And why is their knowledge so important in our ever changing world? Not much has been written about these great overseers of heaven. They are alluded to in religions and mentioned heavily in the Jewish Torah, the Christian Old Testament and the Muslim Koran. But no definitive text is written about them. In no way are the Archangels only in the pantheon of Judeo-Christian Western ideology. Every spiritual and religious tradition speaks of the great winged ones. They have different names as told through a myriad of different cultures and lenses, but they are the same energies of the Archangels. They are, in fact, in every molecule of life’s creation. Typically, the Archangels are referenced in the masculine vernacular, but this is inaccurate because each Archangel has two aspects, or two faces to its Being, both feminine and masculine. This is understood in the mystical tradition as mystical knowledge and is rooted in the balance of all energies. 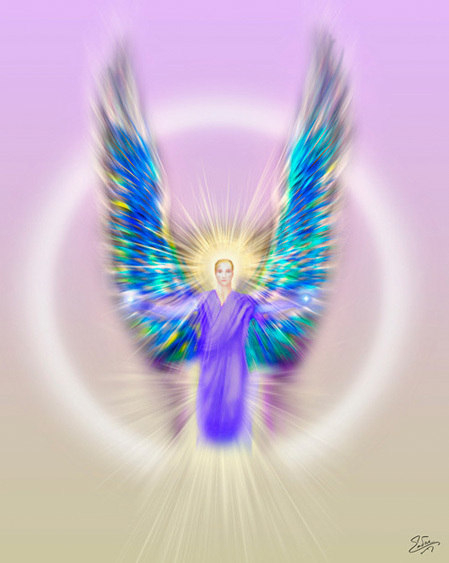 The great Archangels have visited me in my mystical visions throughout my life dictating their brilliance, knowledge and messages of hope, explaining who they are and why they are putting all of their focus on humanity right now. These Archangel Teachings have been made into a book which will be released in time. In this short overview from The Archangels Book, I share with you the foundational information on The Four Archangels of the Four Directions. There are twelve Archangels total. 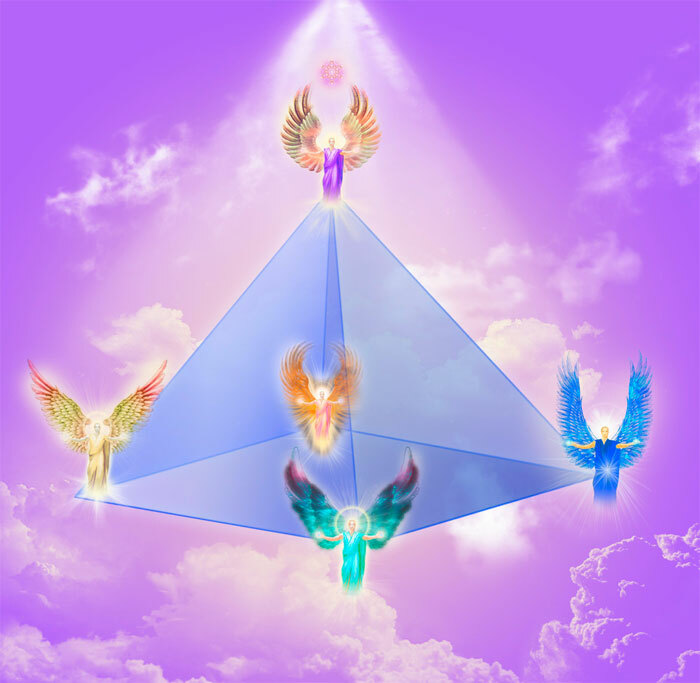 However, The Four Archangels of the Four directions are the most important for you to work with right now because these four Archangels are responsible for the evolution of humanity. You will find on this page their meaning and qualities, instruction on how to invoke each Archangel, plus a bonus: The four steps to setting the Archangel Field of order and harmony in your life and world. The Four Archangels of the Four Directions by name are Michael, Raphael, Gabriel and Uriel. Each is the messenger revealing a group of specific tasks to help us on our earthly journey. You can easily call upon any of the Archangels to guide you at any time. Now, in their own words, I share with you The Archangels story of being created as it was dictated to me. Take note: The Angels tend to speak in an archaic poetic tone, rather like music. If you can get past this as a modern person, there is much to be gained from their knowledge and wise council. “In the beginning before you were created we were formed from the mouth of God for establishing the world of God’s desire. From the One Mind of God, the first Archangel, Radiance, the Supernal Light of the Above. Then to follow from the four faces of God becoming, the four directions of existence birthed – creating the Four Archangels of Michael, Gabriel, Raphael and Uriel. Then, from God’s nostrils the Archangel ray of the great Below. Thus, the six celebrations of jubilee spinning and turning across the great void – the Merkavah. From this, the heart of God, four more rays descending, then the two from the navel of God. 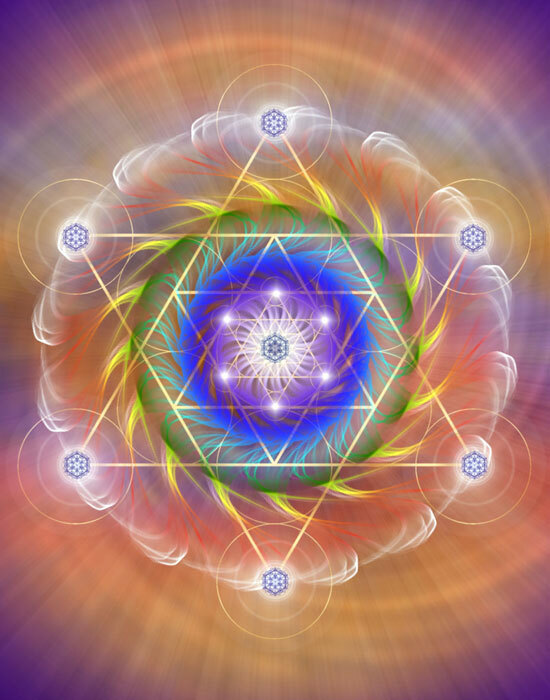 Now twelve complete, the Universal Tree of Life, we the Archangels of Supernal Light. Thus, we began our service in the celestial hierarchy of God’s heaven, fashioned and created to serve all of reality for truth, wisdom, understanding, loving kindness, justice, judgment and strength, harmony, balance, protection and victory of consciousness, Soul purpose and unity into the perfect manifestation of God’s holy love set forth into the material world of mankind. We are the Great Rays of Eternal Light. Always watching over you, always carrying the swords and shields of illumination and righteousness. The Ray of Vision of Clarity. Uriel opens the energetic gateway for you to move through life with grace and ease. Uriel is here to show you what you cannot see on your own in order to awaken your mind so that you can see wisdom. You may not always want to see what Uriel shows you, but the information Uriel brings is always for your highest good. Whenever you need to have a clear mind Uriel will lift the cloud of your perception so that your mind becomes illuminated with clarity. Uriel shows you what the correct course of action is in any given situation. Uriel is the overseer of the season of Winter, keeping the light of awakened consciousness alive during times of darkness. 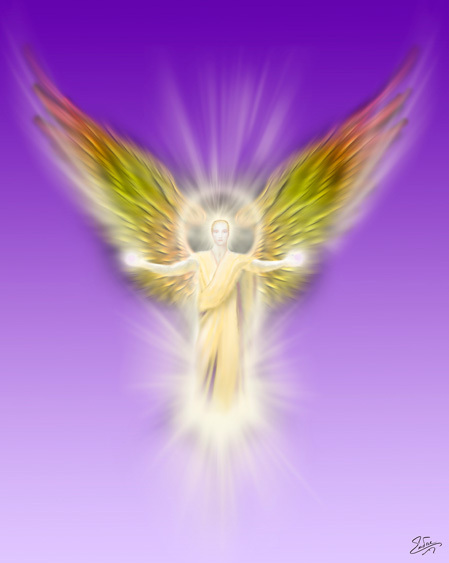 Uriel is in charge of the hidden light inside each of us (our pure potential of life mastery and enlightenment). Uriel’s watchful eye is always making sure that the candle flame of our inner miracle remains forever brightly lit. The Healer. The Bringer of Redemption. Raphael brings profound healing energy to any situation by healing the body and repairing one’s mental and spiritual health. In relationships, Raphael brings intimate love, igniting the qualities of “the beloved” for any couple. Raphael calls in love, bringing in your life partner, friends and business contacts that are the right match for you. When there is difficulty in life, Raphael’s gift of repairing what has become broken is insurmountable. Raphael is the keeper of the DNA keys and works with our DNA to keep us healthy. Raphael is also the guide for lost souls, redeeming souls that have gone down a darkened path. Raphael has the power to retrieve souls, returning them into the gardens of light in heaven. Raphael clears karma and erases spiritual debt. Raphael is the overseeing Angel of Summer bringing forth abundance (the fruits) of spiritual light, Radiance, for all who open their heart, mind and soul to Raphael’s redemption. The Protector and Slayer of Evil. Michael is best known for slaying Lucifer, or Satan. But what does this mean? This means that Michael’s power gives you the ability to overcome the ego mind’s self-centeredness, narcissism and projection of blame and hate, all the aspects that cause us to feel separate from God’s love, abundance and support. Often, we are too powerless to successfully tackle overcoming our inner demons—the ones that sabotage and wreak havoc on our lives—alone. This is where help from Archangel Michael can be a miracle. Whether it is a problem of your own making or instances where someone or something is trying to harm you, call on Michael to wield the mighty sword that will slay all negativities with the light of truth. Michael is the great protector keeping you safe, caring for your soul and the soul of mankind. Michael sits close to God, ascending and descending between our world and heaven. Charged with bringing your prayers safely to God’s ears Michael then brings God’s answered prayers back to you in heartfelt serenity. The wisdom of Michael is a brotherly love of devotion as he sees us as his long lost family. Michael will work until the end of time to bring his brothers and sisters back home with him. The Messenger and Bringer of Good Fortune. Gabriel is the messenger of prophesy and truth. Gabriel arrives commanding us to transform from a former state of consciousness to a newer, higher state of consciousness. Gabriel brings good fortune and happiness. If it is a child you desire, look to Gabriel. Gabriel oversees the season of spring heralding in new life and productivity. Gabriel is to be invoked when you are needing to start a company, begin a new relationship, or build a new life. When you feel as though you are in a spiritual rut, call on Gabriel to sound Her mighty horn calling forth your successful personal growth. 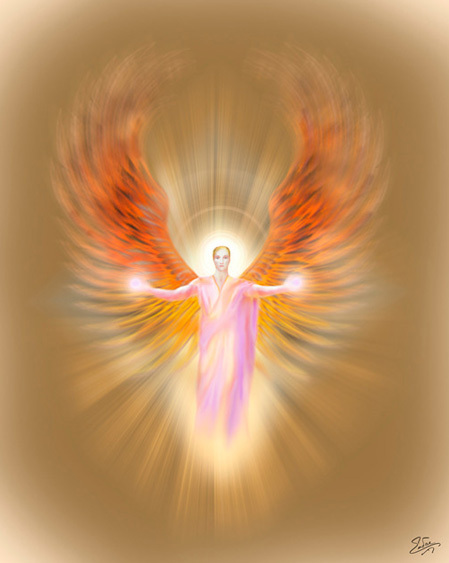 Gabriel also arrives when a soul is leaving this plane to assure safe passage into the realms of light/heaven. Gabriel can uplift the painful experience of ending a relationship, business dealing or friendship. Ask Gabriel to assist you in creating an ending that is in the highest awareness for all then a miraculous outcome can be achieved. 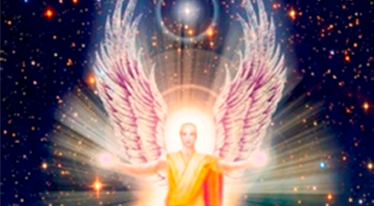 The reason the Archangel Information is so important to our world now is because the Archangels—fashioned before us by God to hold harmony and the potential of mankind becoming our highest angelic selves—hold the keys to illuminating consciousness on a grand scale. They can only do their job when summoned by us because, well, as you may have heard by now we have, Free Will. The Archangels require an invitation and invocation from us to intercede on our behalf. With the world at stake and the planet’s ecosystems changing so rapidly, for our world’s survival we must turn to help from beings more powerful and greater than our limited selves. These are God’s emissaries of goodness, the Archangels of Light. I hope you have enjoyed learning about The Four Archangels of The Four Directions. I value your time and look forward to sharing the messages of the Archangels with you so that you too can experience the wonder of their miraculous love. If you want to know more about how to bring the Archangels into your life, if you want to learn how to pray with the Archangels please visit me on my social media and sign up for my newsletter. Face the East with your body, open your hands to the sky, preferably towards a window. It is also a wonderful experience to do this practice outside. 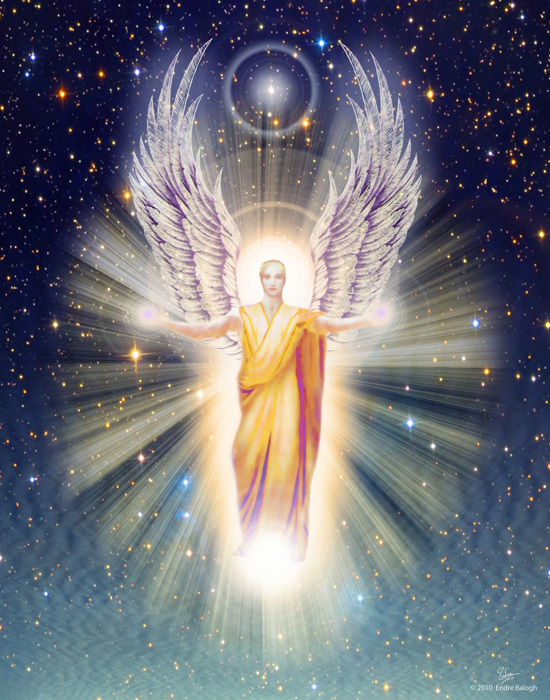 Beloved Archangels, Servants of the Most High, from the One Creator, I ask you to descend today from your heavenly station and place within me and around me your Archangel energy of awakened Illumination. Before me, Archangel Uriel, the keeper of Clarity and Vision, I ask that you open my eyes that I might see with true wisdom and understanding all that comes to me. Behind me, Archangel Raphael, Healer and Redeemer, I ask that you pour your healing energy into my body, mind and spirit. On my left side, Archangel Michael, My Protector, I ask that you protect me and (my family, my home, etc). Keep us safe. Give me strength. Take my prayers with you to the Throne of God, may you always bind my heart with the celestial realms of light for all of eternity. On my right, Archangel Gabriel, The Messenger, I ask you to bring your message of truth into my world today so that I will receive spiritual transformation while attaining peace in this knowledge. Amen. 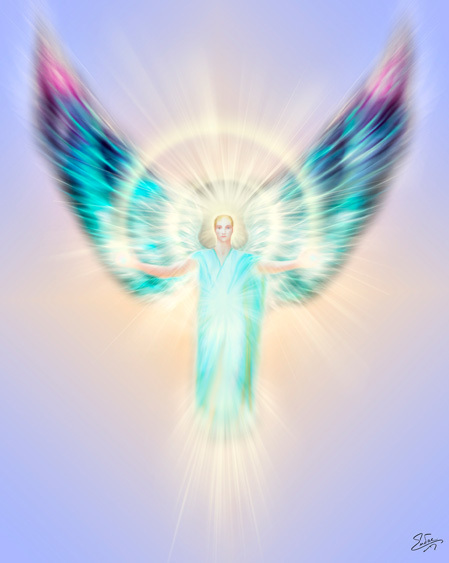 Now, take this moment to really feel the Archangel Energy of Radiant Light pour down through your body, mind and spirit, enlightening your consciousness and uplifting your soul. End with a big “Thank you!” of gratitude to our Creator and you are ready to meet the world with the Archangels by your side! Thank you for joining me on my teachings from the Archangels. If you would like more messages from the Archangels, please visit me on my social media, sign up for my newsletter, and visit me when I am near you. I would love to personally meet you and hear your Archangel stories.